See Eureka’s brand NEW show and experience a cacophony of light and sound, get hands-on with extra activities in the Imagination Space, plus over the Easter weekend meet an Easter bunny with a difference. Eureka! 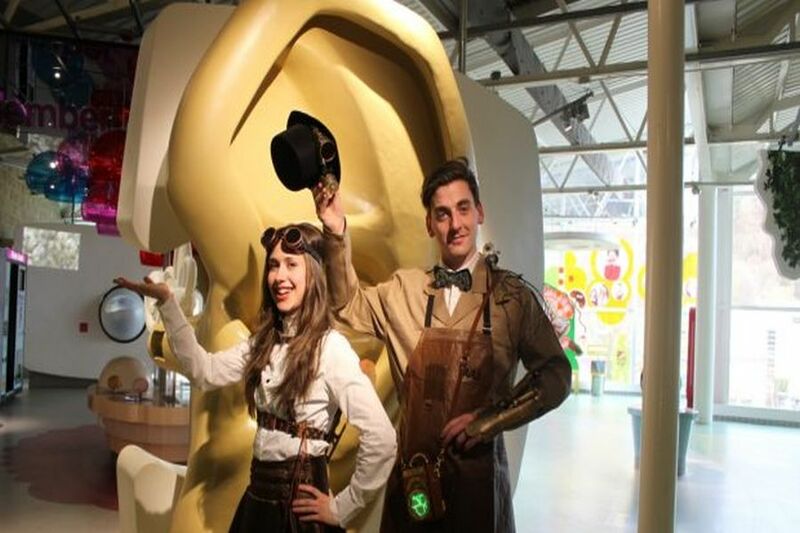 are bringing Steampunk and science together for a madcap, zigzag journey through the amazing world of science and technology this Easter holiday – on every day from Saturday 6th to Sunday 28th April! Be amazed by science demonstrations from the Eureka! Steampunk Scientists and be the first to experience Profressor Spark’s brand NEW science show. For Easter Weekend only hop-along to meet an Easter Bunny with a difference. The White Rabbit, Felix the Fox and Mrs. Greenfingers will be here with stories from thier garden. Created by their friends Same Difference Arts, here from Friday 19th to Monday 22nd April.